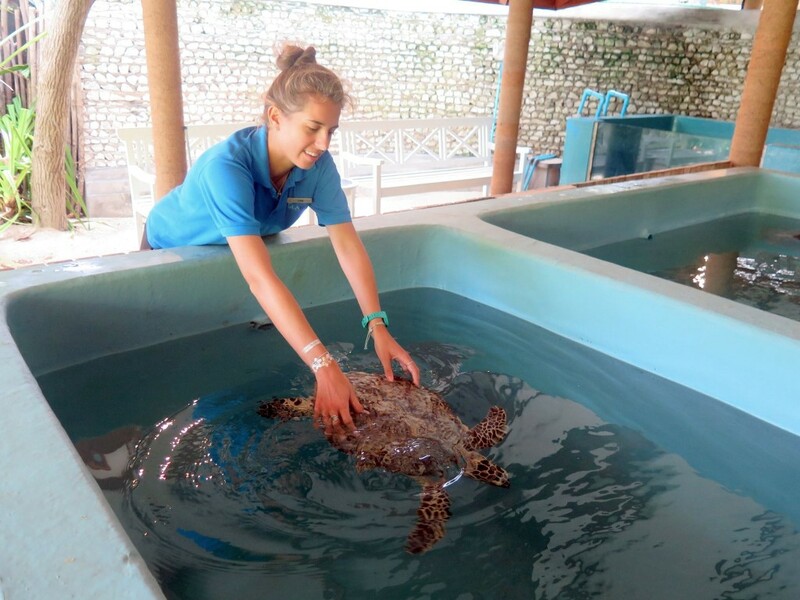 Crush was admitted to our Centre after being kept as a pet, and suffers from a severely deformed carapace (most likely from a crushing injury by being over-handled). 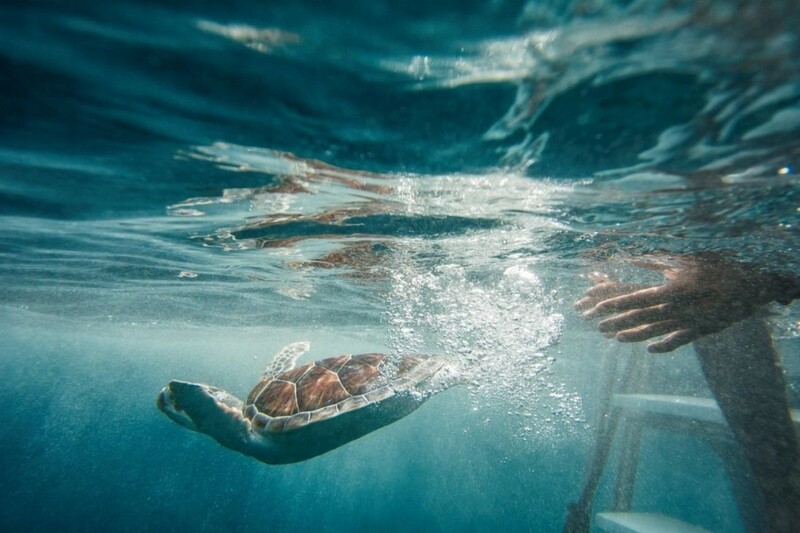 The carapace of hatchlings is soft and malleable, and doesn’t provide much protection until becoming firmer after a few months. 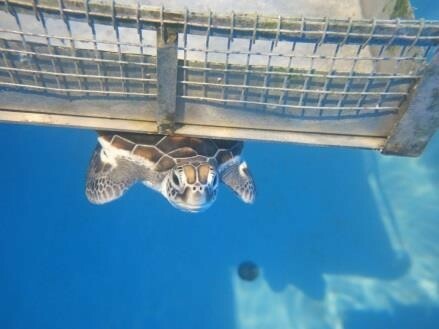 It is unsure if Crush will be able to overcome this deformity, as there appears to be lung problems, difficulties diving and limited use of rear flippers. 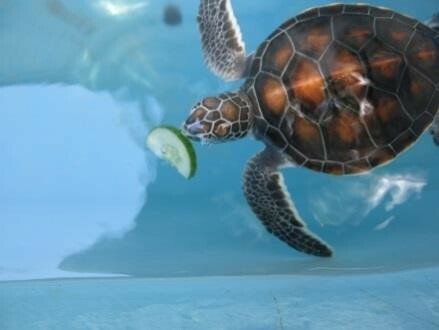 Without the ability to dive, Crush would not be able to survive in the wild. Hua had also been kept as a pet, and arrived at our Centre suffering from a mild skin and eye infection. This infection soon cleared up after treatment, and the turtle is healthy and already starting to grow. 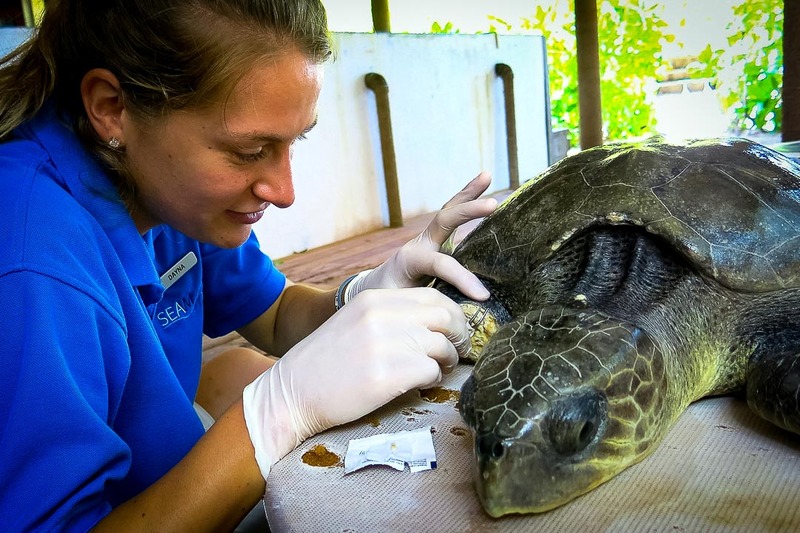 Hua will remain at our Centre until up to 30cm in length (SCL, straight carapace length) and then be released into the wild as part of our Turtle Head Start Programme. Lylah (LO.072) admitted 28-Jun-15 from Reethi Rah. 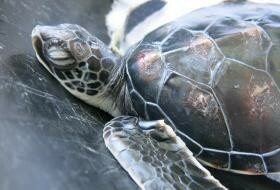 Lylah (a juvenile Olive Ridley turtle) was found on 28 June trapped in drifting ghost fishing nets. Her right front flipper was badly damaged by the entanglement and unfortunately we needed to perform a flipper amputation. 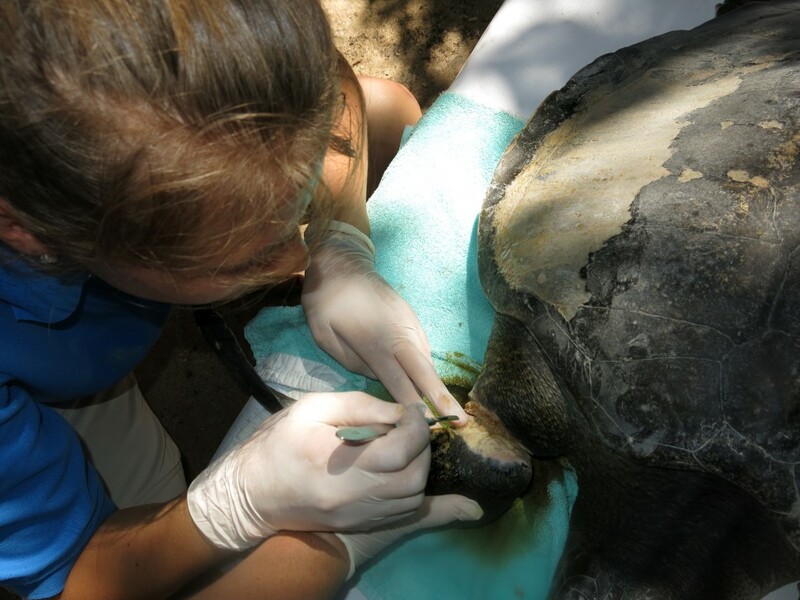 The wound site has healed very well, so we are cleaning it every other day and giving antibiotics. 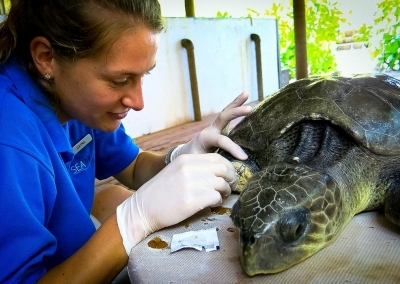 Lylah’s appetite is poor but slowly improving; she is eating 300g of fish per day, but she has still not gained any weight. 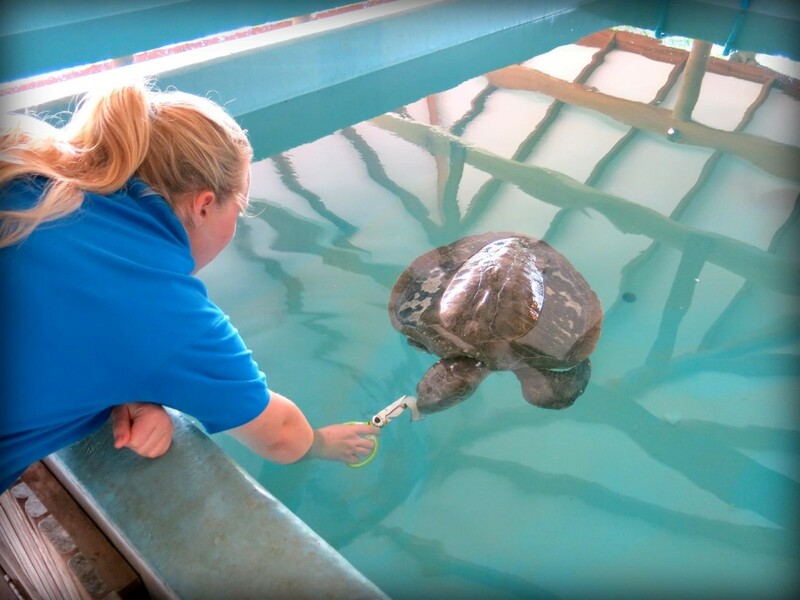 Lylah still spends most of the time at the surface of the pool, and we are working with her during feeds to encourage diving and providing enrichment during the day for stimulation. 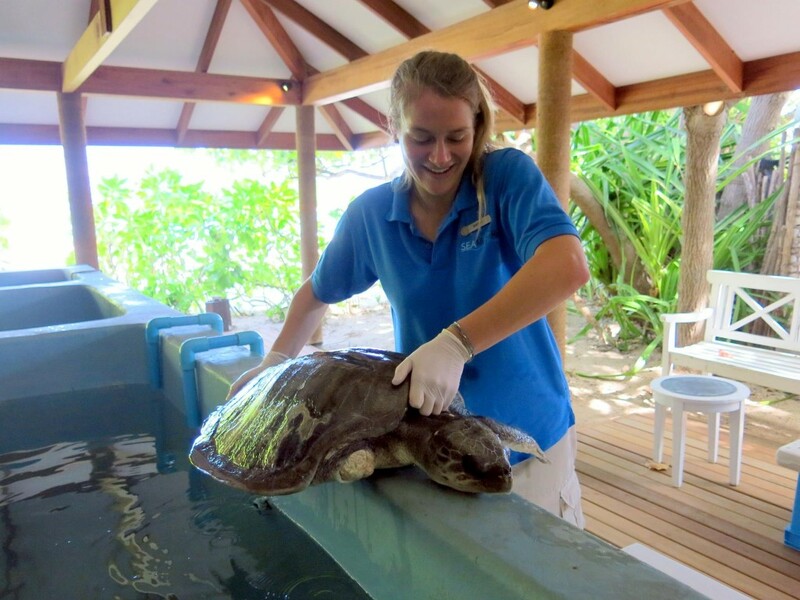 Zoe’s injury healed well, and although the injured flipper did not regain full movement, she continued to be very active and good at diving. 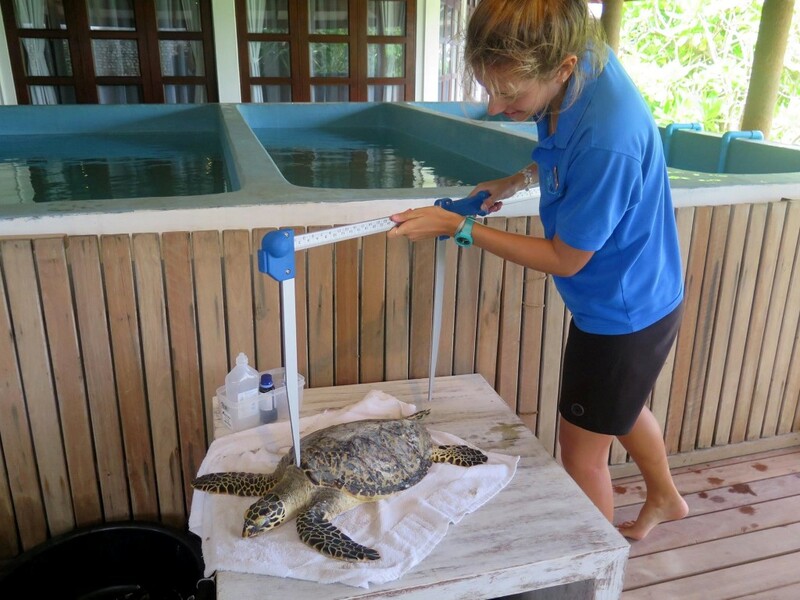 She also had an excellent appetite, and after 61 days of wound care she made full recovery and gained an impressive 1.2kg in weight! 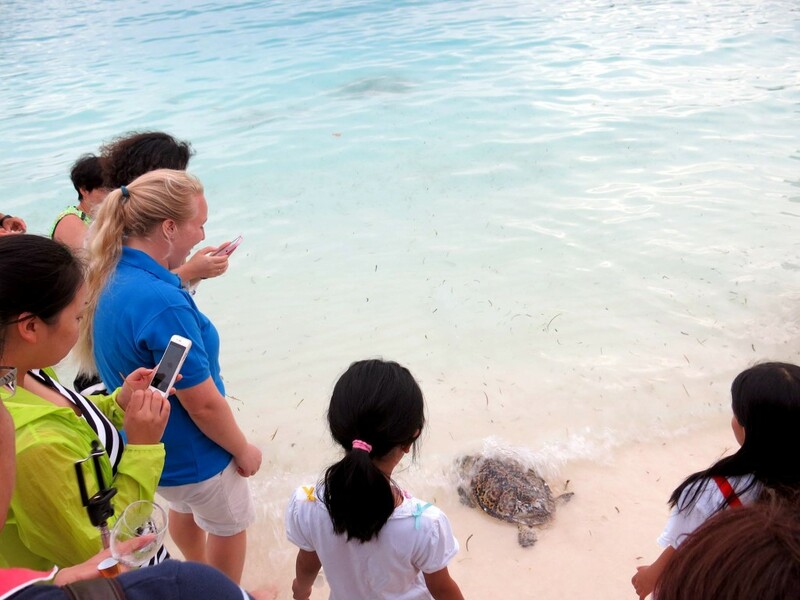 On 27 August, we waved good-bye to Zoe from Kuda Huraa’s “Secret Beach” and wished her a bon voyage. 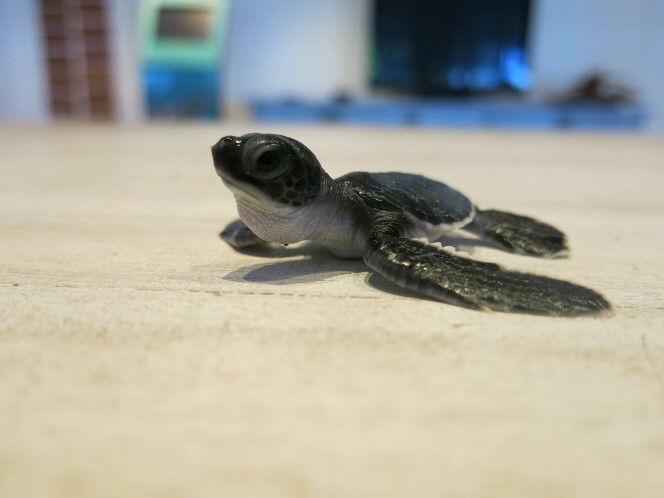 A hatchling was recently transferred from Landaa Giraavaru after being kept as a pet on a local island. It is suffering from a severe infection and will be treated with Ketoconazole (antifungal), iodine baths, and Candiderm cream (antifungal and antibacterial). 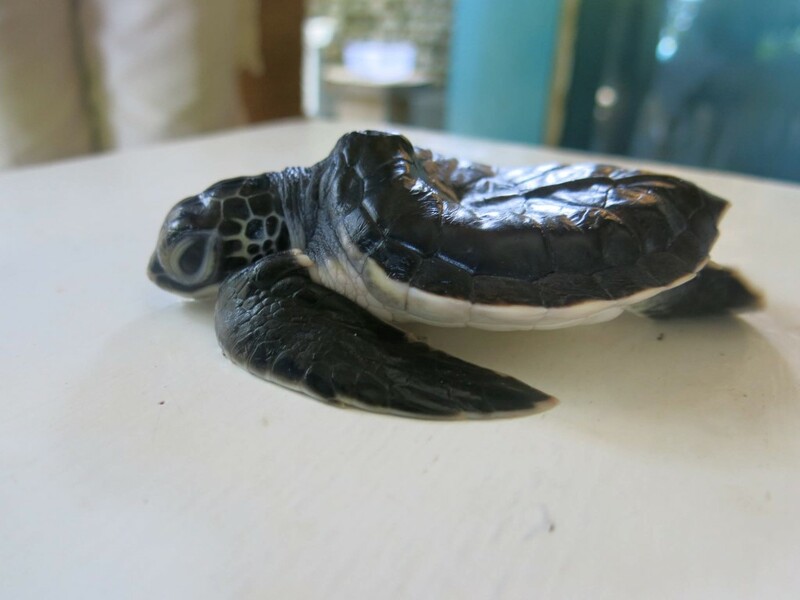 During this time, the hatchling will be kept isolated from the healthy turtles to prevent spread of infection. 30 minutes drying; salt water bath. 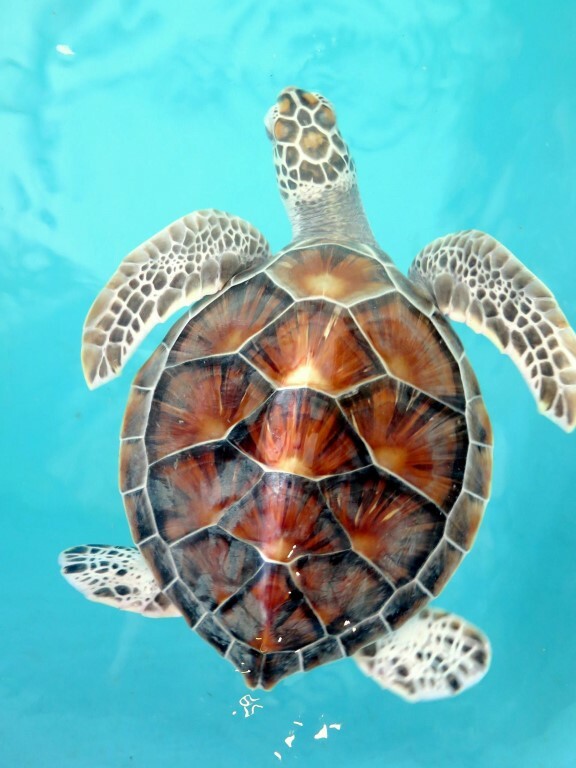 These new arrivals are important reminders that although hatchling sea turtles may seem like good pets, they require specialised care and attention to ensure they remain healthy and continue to grow. Without this care they are vulnerable to malnutrition, infections and deformities. 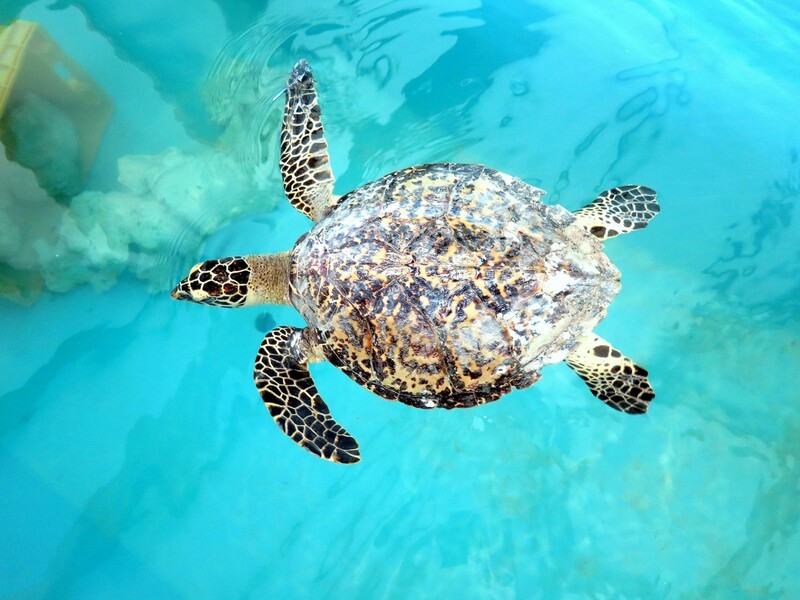 The five additional Hawksbill hatchlings from Maalifushi continue to thrive and are very active. They are now large enough to be housed in a larger and deeper pool. 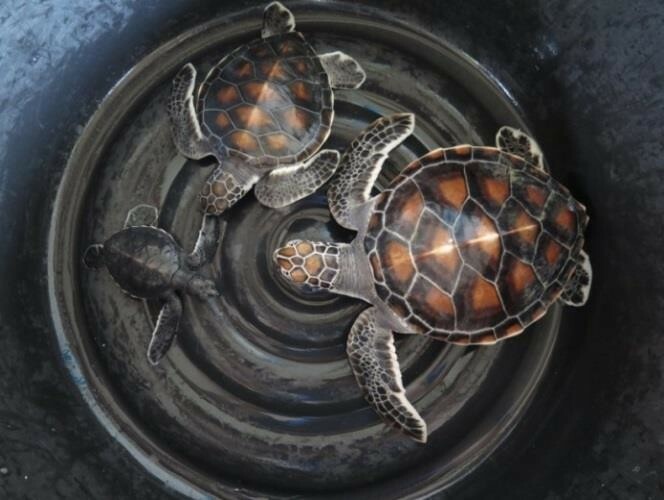 As these hatchlings grow, we are able to see the distinct facial scutes more clearly, the colours on their carapace are becoming more vibrant and their plastron is beginning to turn cream in colour as they mature. 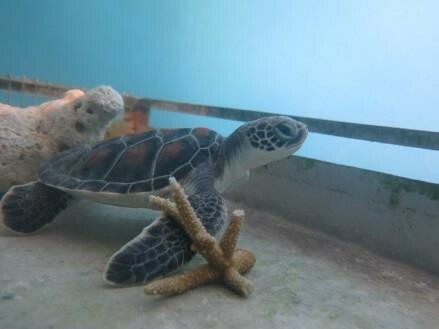 A new Green sea turtle hatchling from Dhuni Kolhu (Baa Atoll) was admitted after being found during a nest excavation. 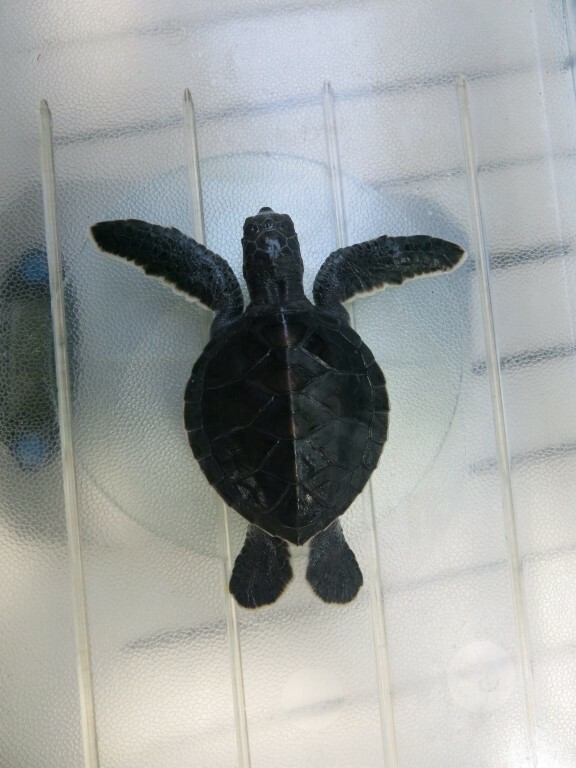 The 3-day old hatchling (CM.102) was found with a ‘folded’ shell (suggesting a delay in escaping from the egg) but the plastron has now straightened out, with only a small dent remaining. We provide “enrichment” activities in the form of live prey items, rocks in the pools and a variety of “toys” – objects to play with. 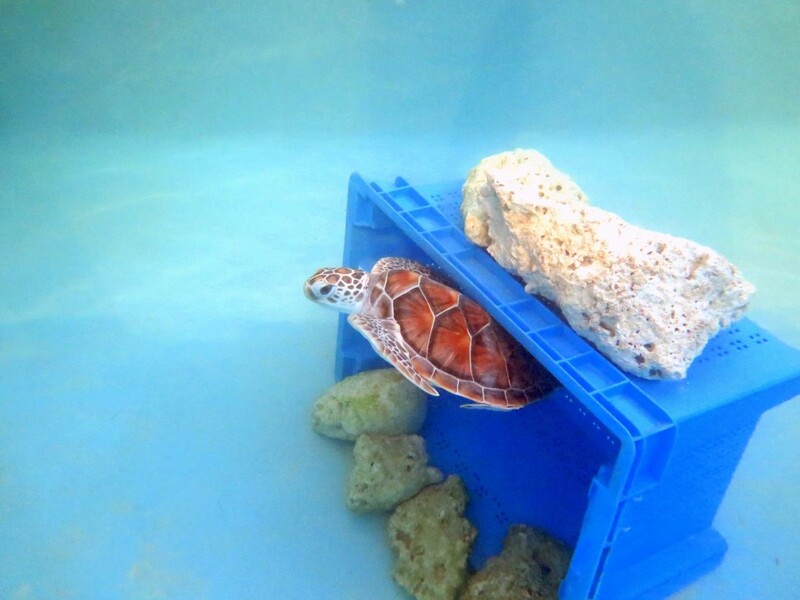 This increases the activity of our turtles, provides stimulation in an otherwise sterile environment and encourages natural behaviours such as foraging. 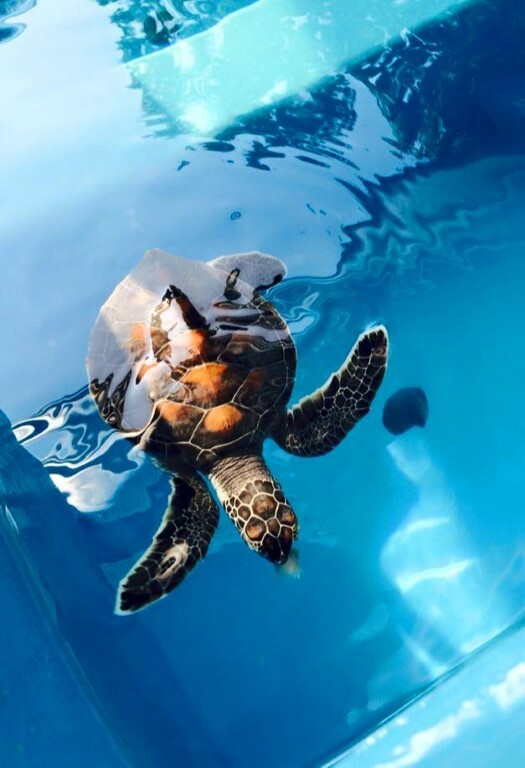 The rocks, ledges and “caves” in the pools also decrease stress levels as they give the turtles a place to hide and rest. 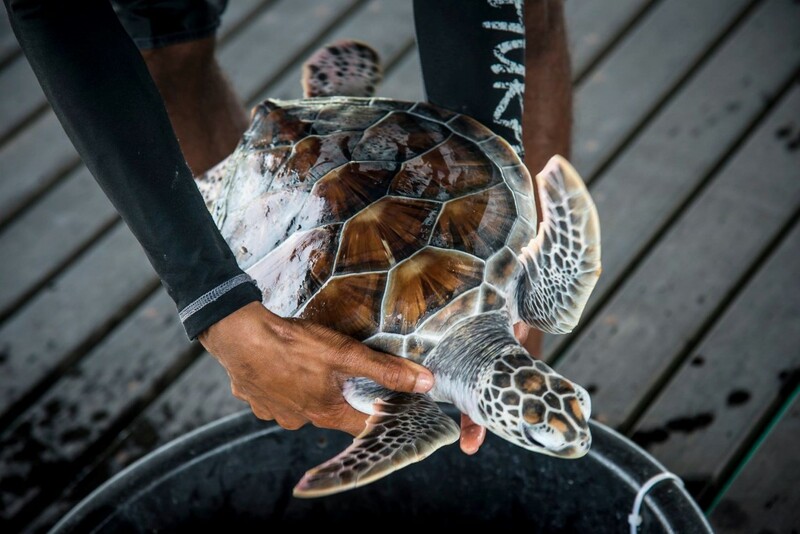 Beast has been living at Kuda Huraa since May 2014, when he was admitted to our Centre after being kept as a pet for a short time. Luckily, he was in good health and continued to thrive during his time with us, growing from just 25g in weight and a length of 5cm, to an impressive 27cm and 3kg after just 15 months.